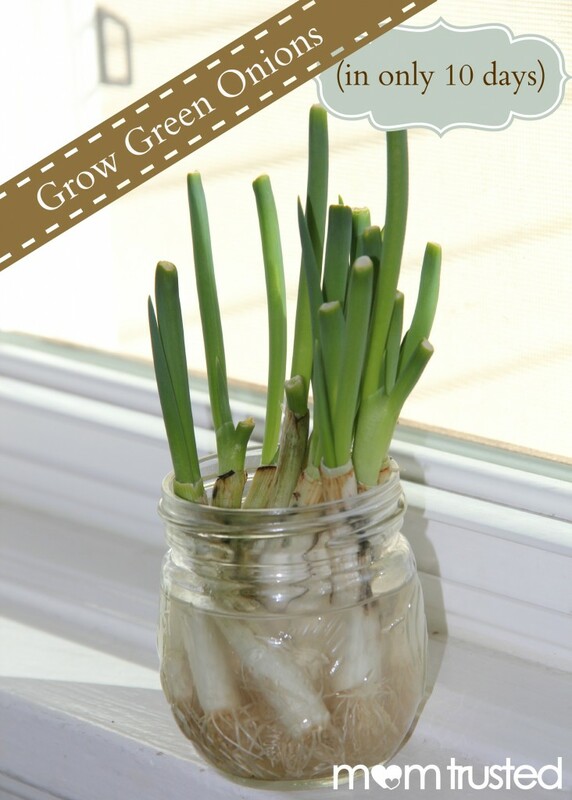 Grow your own green onions at home in 10 days! This is a great growing project for young children because they grow so fast the kids can see their plants grow day after day. 1. Cut the top of the green onion off. There should be about 2 inches left at the bottom (bulb area). 2. Place the cut bulbs in your jar or cup. 3. Fill with water. Make sure your onion is sticking out of the top of the water. If it is totally submerged they will not grow. 5. Measure the onions each day to see the growth. After ten days you can just eat them? Love the idea. So in theory, you could have an endless supply of spring onions? Or just once is the normal limit?